2019 Yamaha WaveRunner EX Sport The EX Deluxe, EX Sport, and EX are powered by Yamahas TR-1 marine engine that is 17 percent more powerful than its Rec Lite competition. Feeding this award-winning motor is a 13-gallon fuel tank that is twice the capacity of its Rec Lite competitor. Under the waterline is a performance hull design that is manufactured to precise tolerances. This lightweight SMC hull delivers excellent stability for two or three-up riding and towing, and provides precise responsiveness and predictability for thrilling one-up riding. Other than the EXR, there is not another hull in the Rec Lite category that offers as much fun, excitement, stability, and versatility. On the handlebars, the EX Deluxe includes Yamahas RiDE system, the industrys first dual handlebar throttle controls that deliver maximum maneuverability moving forward or in reverse. RiDE is the most intuitive driving experience on the water. Squeeze the right handlebar lever to go forward. Squeeze the left lever for reverse. At speed, the left handlebar lever will also slow you down. Release both right and left levers and the watercraft is in neutral. No shifting. No gears. The only thing to think about is how much fun it is to RiDE. 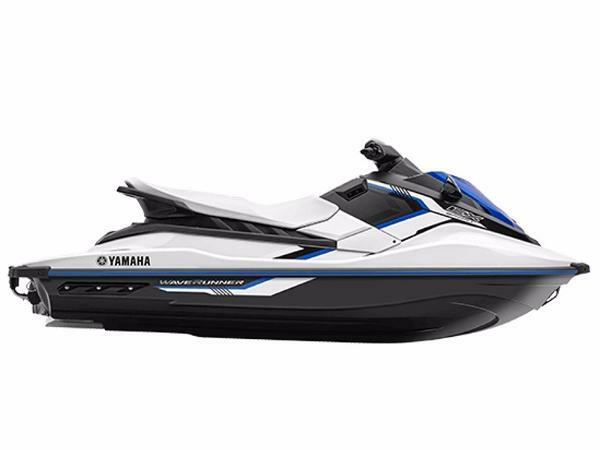 Designed with the same quality and reliability that Yamahas more expensive WaveRunners are known for, the EX Series exemplifies affordability and durability in an exciting way. 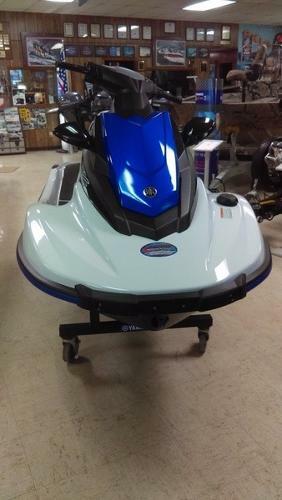 2017 Yamaha Boats EX Sport 2017 Yamaha EX Sport "CLICK FOR QUOTE" AND CHECK OUT OUR NO HAGGLE PRICING! No extra Freight Charges! Due to our Sales Volume and Multiple locations, please call to verify particular units in stock. Prices and Availability subject to change at any time. 2017 Yamaha EX Sport The brand new Yamaha EX line brings to you the EX Sport. 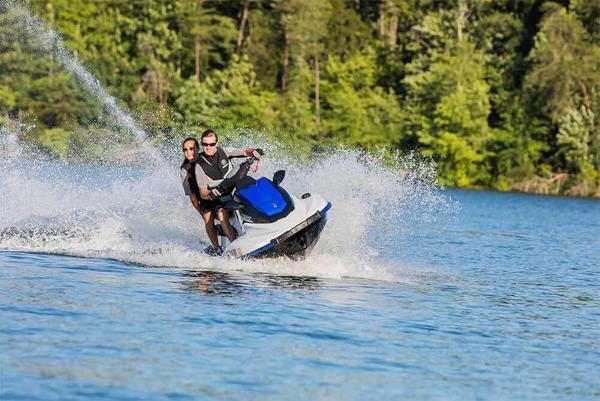 It has an award winning 3-cylinder, 4-stroke TR-1 Yamaha Marine Engine that's built for a value-packed day of fun. It has an SMC hull and deck with RiDE features to decelerate and reverse the watercraft with ease. In addition it has highlights such as a glove box, 7 gallons of storage, deck mats, a tow hook and multifunction information center. 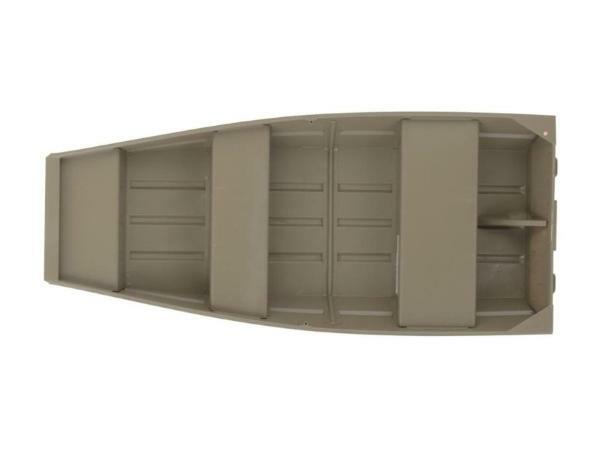 This is the perfect watercraft to purchase for your family without putting a big hole in your pocket. 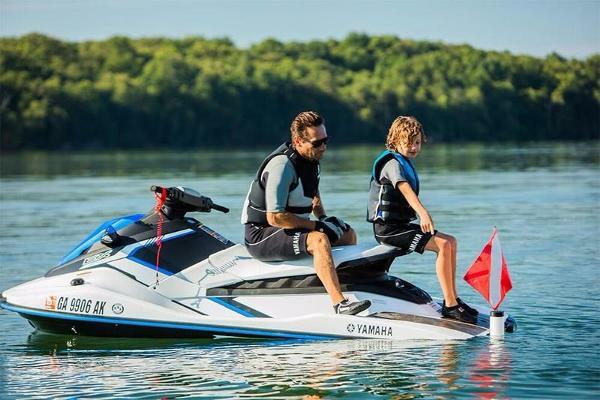 2017 Yamaha EX Sport For 2017, Yamaha introduces the nEXt generation in family fun on the water. The all-new EX Sport is feature rich and accessible, featuring Yamaha's award-winning, lightweight, 3-cylinder TR-1 engine. Fun and agile with a full fiberglass hull and deck the EX is ready to get you on the water today! 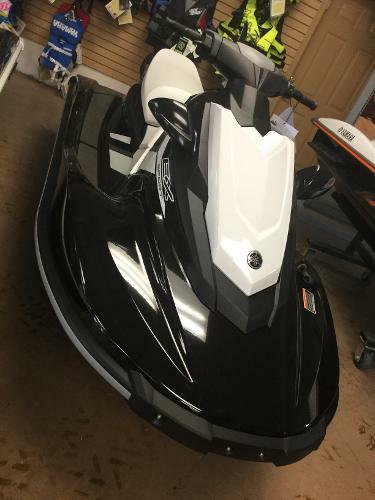 Upgrades to the Sport include dual mirrors, a rear boarding step, and reverse! A great model for families in the Hideout with a 100hp motor!